There is no limit to the range of items you can buy online - everything is available for purchase on your computer, from archery equipment to zoology textbooks. Vehicles are not exempt from this list of treasures you can find on the world wide web. 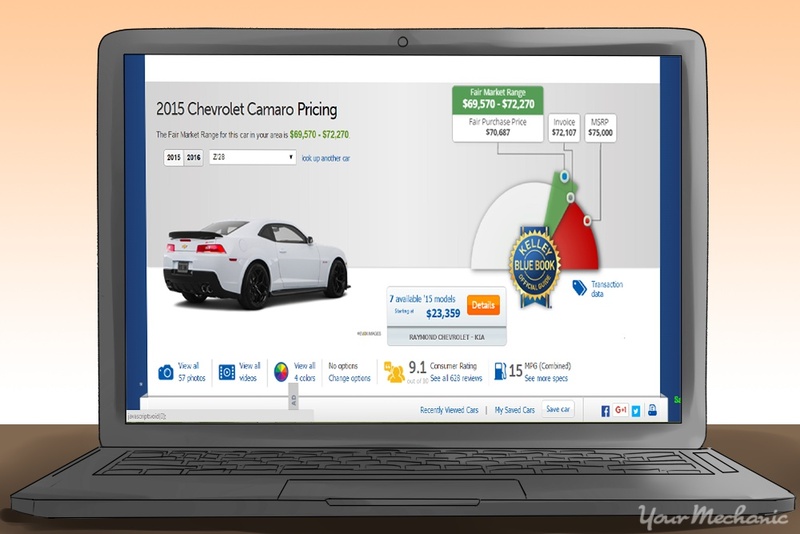 In fact, there are some advantages to shopping for a car or truck online. You save a lot of time and fuel perusing your options from your PC or laptop, and you will likely find gems you wouldn’t have otherwise encountered. When looking for your next new or new-to-you vehicle on the Internet, there are two primary means to do so - online auctions and online advertisements. Step 1: Register to an auction site. 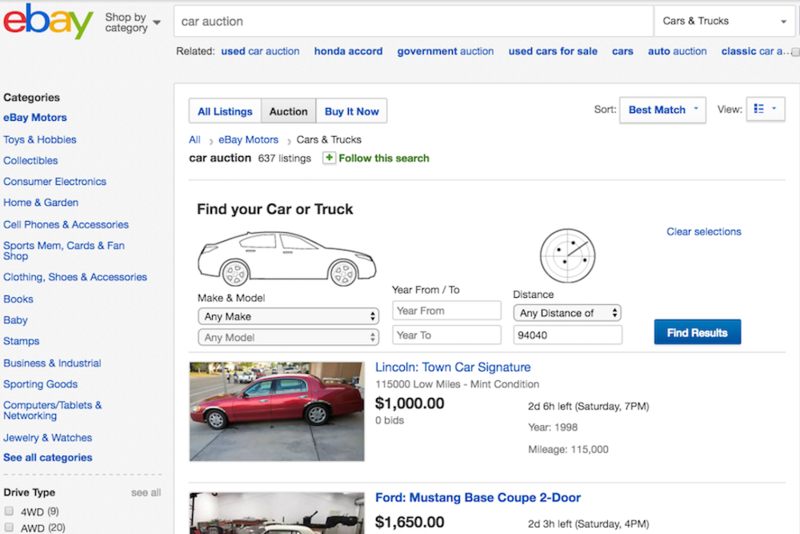 Register at an online auction site that either specializes in car sales (such as Copart) or has an automotive department (such as eBay). While all you may need to do for some is to enter and confirm your email address along with other personal details, other sites may require you to put a payment option on file to ensure you will follow through with any winning bids. Step 2: Pick the right car for you. Search for the vehicle you want to buy using search parameters like make and model, along with anything else you consider essential, such as engine size or interior upholstery material. Carefully consider the results and thoroughly read the descriptions. Take notes of any issues that will require repair. Step 3: Find the value of the vehicle. Once you find a vehicle that interests you, consult a site like Kelley Blue Book, Edmunds, or NADA to see what it is actually worth in its current condition. If the vehicle will require parts or repairs, price those as well, either by calling a local mechanic for a ballpark figure or by checking a site like AutoZone. Step 4: Decide on your budget. 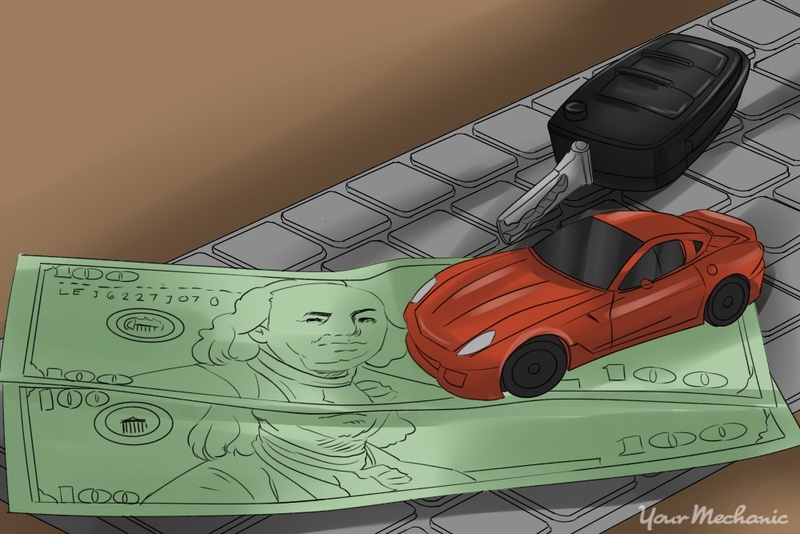 Using the information you discovered with online research in the previous step, decide how much you are willing to spend on that vehicle, bearing in mind there will be additional costs to travel in person to pick it up or have it delivered to you (delivery costs are often available for reference from the auction site). Step 5: Bid on the car. Place a bid for the vehicle and monitor the auction periodically to see if you have been outbid. If that happens, you can always bid a higher amount, but take care not to get caught up in the excitement of bidding and go over your budget. Step 6: Make the payment. If you have the highest bid on the vehicle and win the auction, immediately follow up with the seller and make payment according to the auction site’s policies. Arrange for the pickup or delivery of the vehicle and its title, and enjoy your purchase. Step 1: Search through classifieds. Visit an variety of local online classifieds and look through the vehicles that are listed for sale. The web-based version of your local newspaper or Craigslist are popular classifieds choices, although there may be more options in your region as well. Step 2: Create a list. 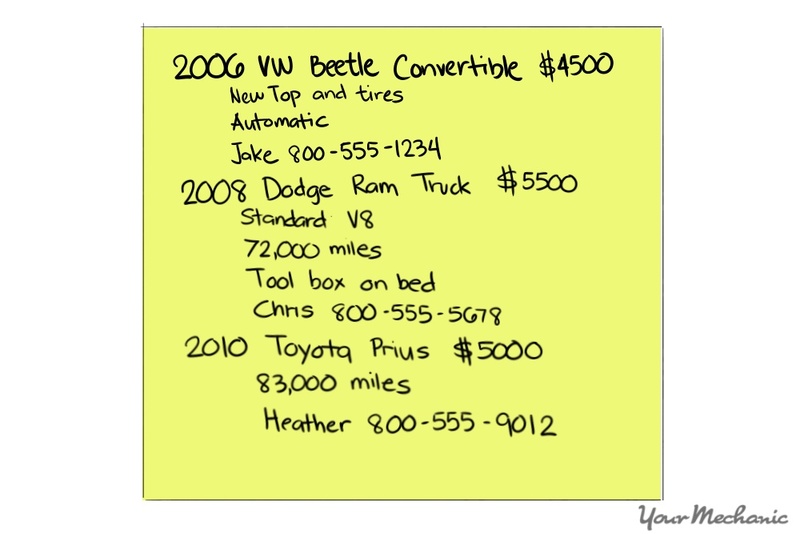 Make a list of vehicles that interest you with the make, model, asking price, and seller’s contact information, then research the values of those cars on a site like Kelley Blue Book. Use that information to narrow that list, bearing in mind that the asking price is often negotiable. Step 3: Test and inspect your choices. Contact the sellers of the vehicles that remain on your list, asking any questions you may have and setting up a time for an inspection and test drive. Show up at each appointment on time and look the vehicle over thoroughly, including under the hood, in the trunk, and at the tires. Step 4: Have a mechanic check the car. If you are not knowledgeable in auto mechanics, ask to have the vehicle inspected by a mechanic. This is not an unusual request, and most sellers will allow you to do this. Step 5: Make an offer. Armed with all of the information about the vehicle you can reasonably obtain, decide if you want to buy it and make an offer that is within your budget and also fair to the seller. Bear in mind that the seller may make a counteroffer, and there may be a little haggling involved. Step 6: Purchase the vehicle. If you and the seller come to an agreement, you can complete the purchase, including the signing over of the title. Then, enjoy your new vehicle that you shopped for online. With online auctions, the entire purchase is often complete before you even lay eyes on your new vehicle. When shopping online classifieds, the actual exchange of money and keys usually takes place in person. Explore both options, and decide which one is best for you.